A man took his Rottweiler to the vet and said to him, "My dogs cross-eyed. Is there anything you can do for it?" 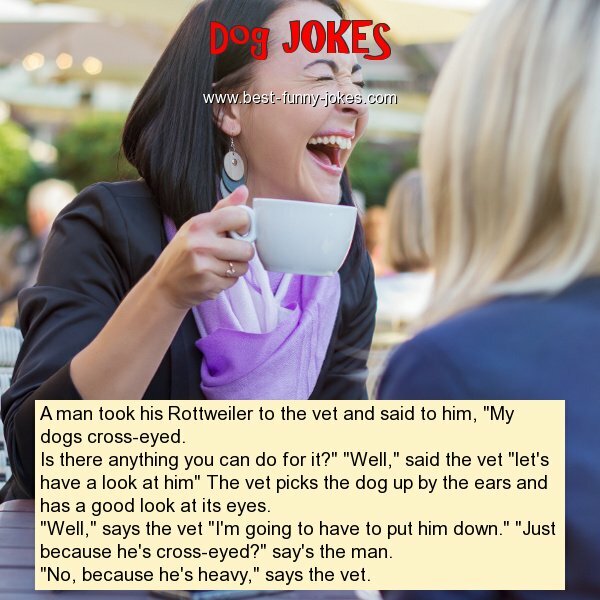 "Well," said the vet "let's have a look at him" The vet picks the dog up by the ears and has a good look at its eyes. "Well," says the vet "I'm going to have to put him down." "Just because he's cross-eyed?" say's the man.